The DJI Mavic Pro has become the flagship of the Chinese drone manufacturer and has replaced the Phantom as the best-known model. Now, finally, a direct successor model is coming onto the market. On August 23rd, the drone was officially launched in New York. The Mavic 2 will be available in two versions, Mavic 2 Pro and Mavic 2 Zoom, and is now available. The first thing you notice is the appearance of the drone. Here the design was slightly changed, nevertheless the new drone is to be recognized immediately as Mavic on the photos so far emerged. As before, the arms can be folded in. The exact dimensions are not yet known, but the size should be about the same. After the smaller Spark, the minor upgrade Mavic Pro Platinum and the Mavic Air, this is definitely the direct successor of the Mavic Pro. The gimbal is also not removable (just like with the former version), but for the near future a service has been promised, by which one will be able to have the camera replaced by DJI. This is especially interesting as there will be two different cameras with different lenses. Even before the press event, we’ve learned through leaks that there will be a 1-inch Hasselblad camera in the Mavic 2 Pro and a lens with double optical zoom in the Mavic 2 Zoom. A special feature will be the collision detection called “omnidirectional obstacle sensing“. This is to enable the drone to detect obstacles in all directions and to avoid collisions. With the automated systems APAS and Active Track 2.0, it will also be able to avoid these obstacles independently. Another new feature is called trajectory prediction. This does exactly what it sounds like and calculates the future position from the movement of a tracked object. The Mavic 2 is designed to continue tracking an object even if it temporarily loses eye contact. The maximum flight time for both models (Mavic 2 Pro and Zoom) is 31 minutes. That would be another upgrade compared to the Mavic Pro and on a level with the Platinum version. The exact capacity of the battery is not known, but it will be replaceable again. Instead of the Fly More Combo of drone and accessories that was previously available with every drone, there is now a Fly More Kit, in which the accessory package can also be purchased separately from the drone. The maximum speed of the drone is 45 mph, the equivalent of 72 km/h. This is even slightly faster than the Mavic Pro. Up until now, hardly any information is known about the camera. Videos can be transmitted live in 1080p. The maximum resolution for recordings should be 4K, even if this is not confirmed. 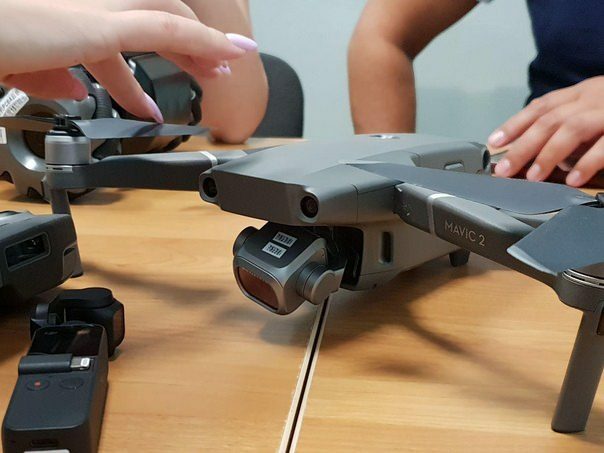 When will the DJI Mavic 2 be released? It was a big surprise that was only announced at the very end of the event. 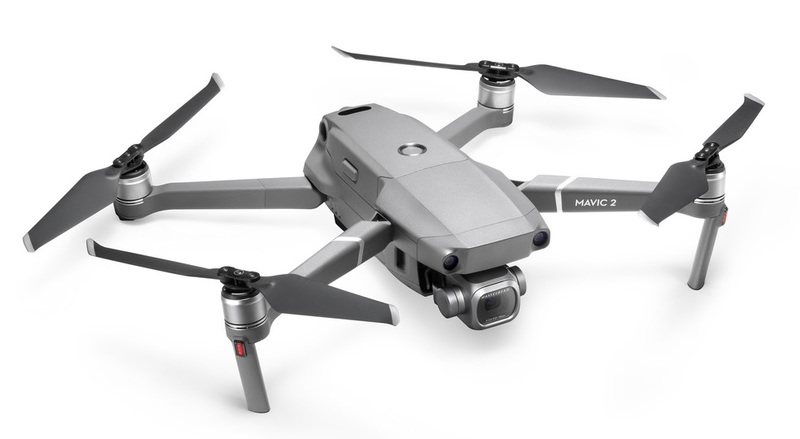 The Mavic 2 is available immediately, i.e. on August 23rd 2018 and can be purchased at the DJI-Store. DJI had originally set 18 July as the date for a performance event, which was then postponed without giving any reasons. 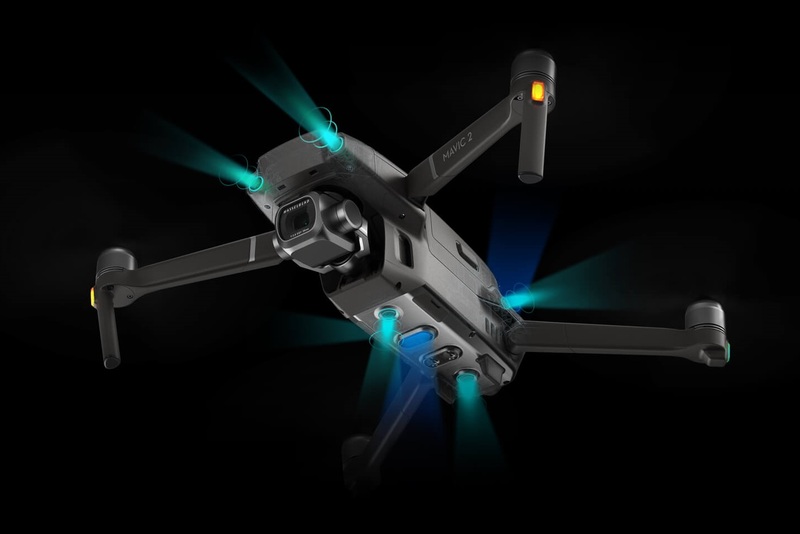 Apparently, however, the time has been well used and for the first time a new drone can be sent on sale at the same time as the official presentation. The prize was also unveiled at the end. Prices were quoted in US dollars, a look at the European DJI store reveals that prices in euros are somewhat more expensive. The Mavic 2 Zoom costs 1249€, the Mavic 2 Pro 1449€. In the US, the Mavic 2 Pro costs $1,449 and the Mavic 2 Zoom costs $1,249. All in all, this is a significant price increase compared to the Mavic Pro, which cost more than $100 less at its release. It remains to be seen how the price in China and thus in the Chinese online shops will ultimately turn out. We expect a lower price again, which should continue to fall over the next few months. Conclusion – Fancy the Mavic 2? What do you think of the details known so far? Is the Mavic 2 on your shopping list (or at least on your wish list)? On paper, as expected, everything reads pretty well, and the pictures shown speak for themselves. There are clear plans to make further progress in order to remain at the forefront of the market for privately used drones with the Mavic 2. The next few months will show how well this can be achieved. Does it have follow me mode? Also, not only does it have follow me mode. It doesn’t need a transmitted device to follow. You can simply lock on any target on your screen to follow it. Just amazing. Seriously folks, I’m not sure that they left anything out. It has everything you could possibly want. Dude, what are you even talking about?